He spent many years giving people flowers, and if you think that makes him sound like a generous man, then you’re right. But something dark lies behind his gifts, something organised and structured, something that’s bigger than you and me, and bigger than Mikelis himself. So we find him, alone in a hotel room, flowers on the table, and resigned to his fate. But who is Mikelis exactly? Professional killer? Government employee? What is his story and what’s with the flowers? 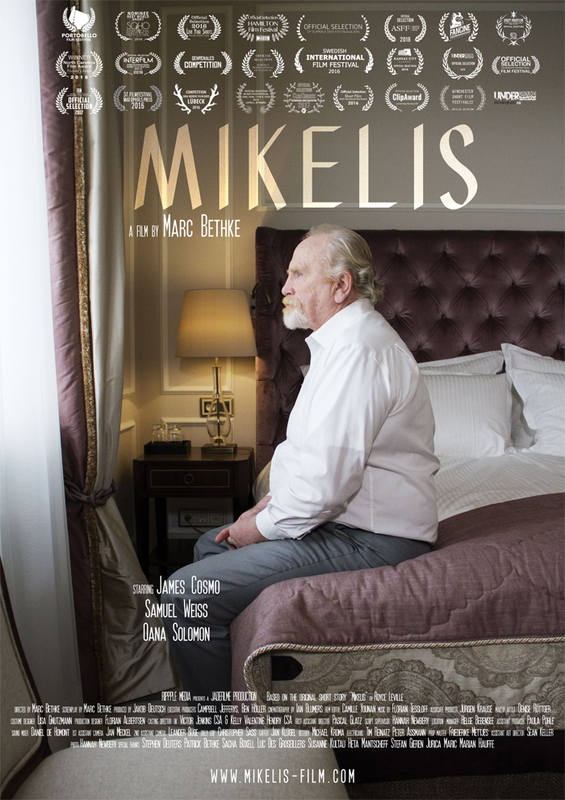 Adapted from the short story by Royce Leville and directed by Marc Bethke, Mikelis stars James Cosmo, Samuel Weiss and Oana Solomon. Part of the money that funded the film was raised through a successful crowdfunding campaign on Indiegogo. For more about the film, visit www.mikelis-film.com.